Bro. Justin was born in Colquitt, GA, where his parents, Rev. Andy and Patsy Merritt, continue to reside. 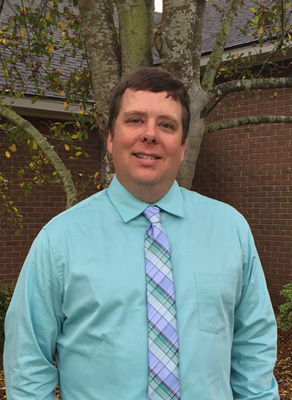 He graduated from the University of Georgia with a degree in History in 2001 and began teaching in Effingham County in 2002. He is currently working on his Masters in Theological Studies from Southwestern Baptist Theological Seminary. Bro. Justin also continues to teach AP US History at South Effingham High School. He enjoys hunting, fishing, reading and golfing, and loves the Georgia Bulldogs, Atlanta Braves and Atlanta Falcons. Bro. Justin is married to Leslie, who also works in Effingham County as a School Psychologist. They have two children, Hunter and Anna. Come join us every Sunday for Sunday School and our morning service. We have a class for everyone in the family.